The history of slot machines is a lot more fascinating than you would have ever imagined. For this reason, Gamblers.casino has decided to take a step back to over 100 years ago, to the first forms of slot machines. We will look at how they came about and establish how fruit landed up in slot machines. The first slot machines were designed in the early 20th century. The first forms of slot machines, including the Trade Simulator, rewarded players in the form of chewing gum. There were various flavoured chewing gum players could win, and the winning flavour would be represented by the fruit symbols on the reels. For instance, if three oranges appeared on the single payline, then gamblers would receive orange flavoured gum. However, it came about that chewing gum wasn’t just a novelty, this was used to avoid the anti-gambling laws that governed the United States at the time. These first forms of fruit machines were run by O. D Jennings, who owned the Industry Novelty Company. She was the one who first introduced the fruit symbols on a machine known as the ‘Chewing Gum Dispenser’. These ‘Chewing Gum Dispensers’ were based on the Liberty Bell slot machine. The Liberty Bell appeared somewhat a few years prior and was designed by Charles Fey. The Liberty Bell was a very standard slot machine, in comparison to today’s innovations and featured three reel, one payline, playing card symbols, and the Liberty Bell symbol. The Liberty Bell never had any fruit icons, but Fey’s next machine the Operator Bell did. The fruit symbols that came about in the Operator Bell slot game replaced many other icons found on slot machines and soon became a standard feature for many slot machines to follow. The fruit icons provided energising colours and more personality to traditional slot machines. 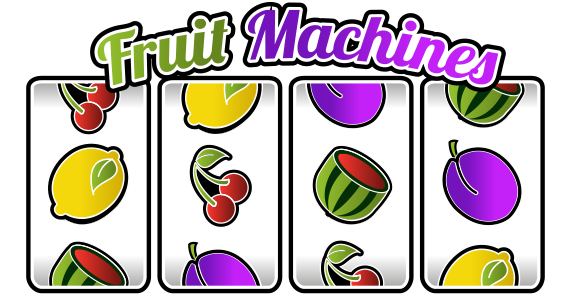 These fruit symbols stuck with many players, and the slot machine eventually became heavily associated with the fruit symbols. This is how slot machines became known as fruit machines. Since this introduction of fruit icons, they have stuck despite many developers experimenting with other icon options. Today they remain the attraction of classic slots. However, the only difference today is that players get paid out in real money, instead of in the traditional form of mints and chewing gum.